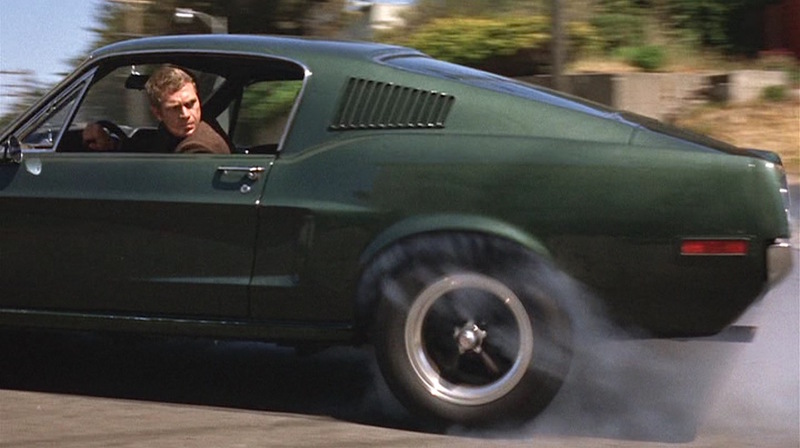 There have been a lot of great Mustangs over the years, but have any had more lasting cultural impact of the Highland Green 1968 GT that blazed across the big screen in the Steve McQueen classic Bullitt? 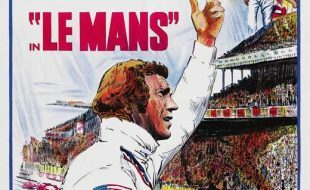 Those 10 minutes and 20 seconds forever reset the bar for movie chase sequences and established a rivalry between Mustang and Dodge Charger fans that endures to this day. 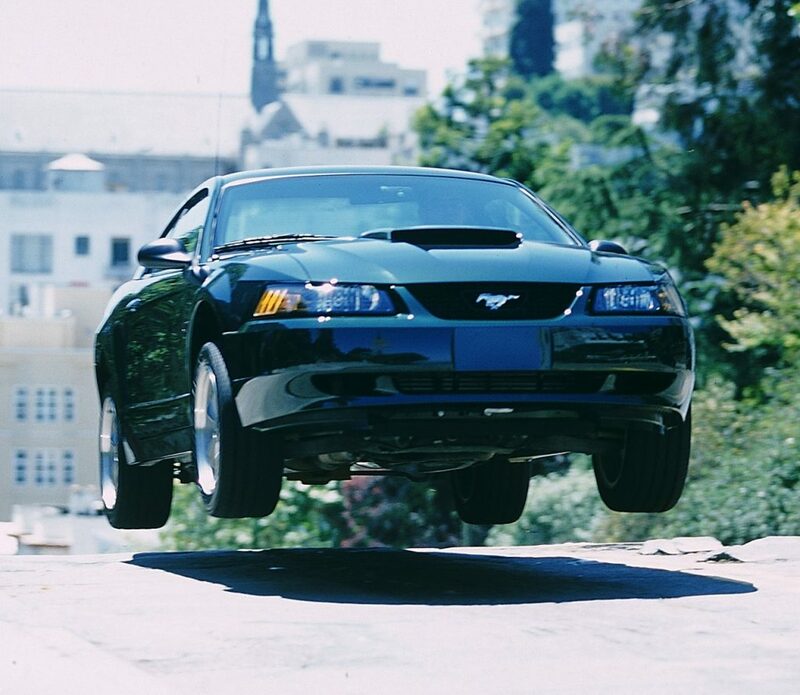 Ford has a keen appreciation for what that film did for Mustang’s image, and it has capitalized on that with special Bullitt Editions of the 4th (2001) and 5th (2008) generation Mustang. 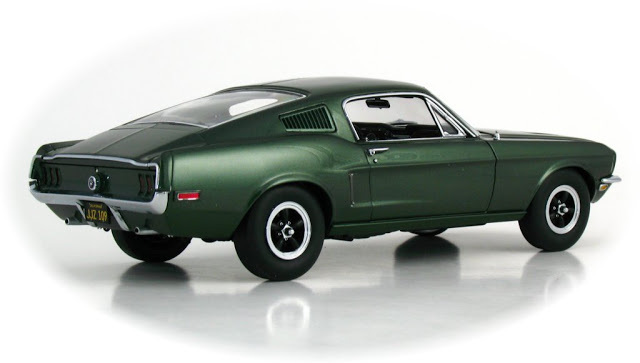 With a car this legendary, its no surprise that there have been numerous diecast Bullitt Mustangs as well—in a variety of scales and price points. This year marks the 50th Anniversary of the movie’s release (October 17, 1968). To commemorate the occasion Ford just announced a Bullitt Edition of the current 6th-generation Mustang, and it’s a beast! Of more interest to fans of the classic Bullitt Mustang was the reemergence of the original hero car driven by McQueen during filming! Much speculation about its fate has circulated throughout the years, with rumors of it having been lost, scrapped, or squirreled away in the vault of some reclusive collector. The reality is at once more mundane and more extraordinary, because the car has been hiding in plain sight for decades. 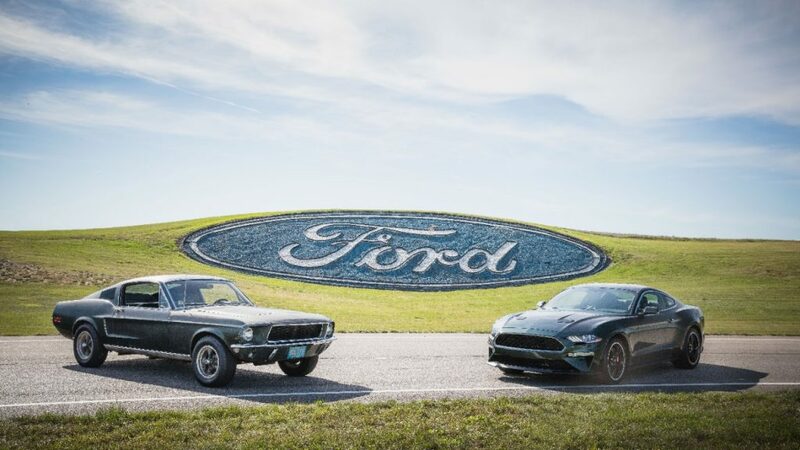 As part of the promotion for the forthcoming 50th Anniversary Bullitt Mustang, Ford had the current owner introduce the original car to Molly McQueen, Steve’s granddaughter! Clean, uncluttered looks and 475 horses on tap — the new Bullitt arrives later this year just in time for the movie’s 50th Anniversary. 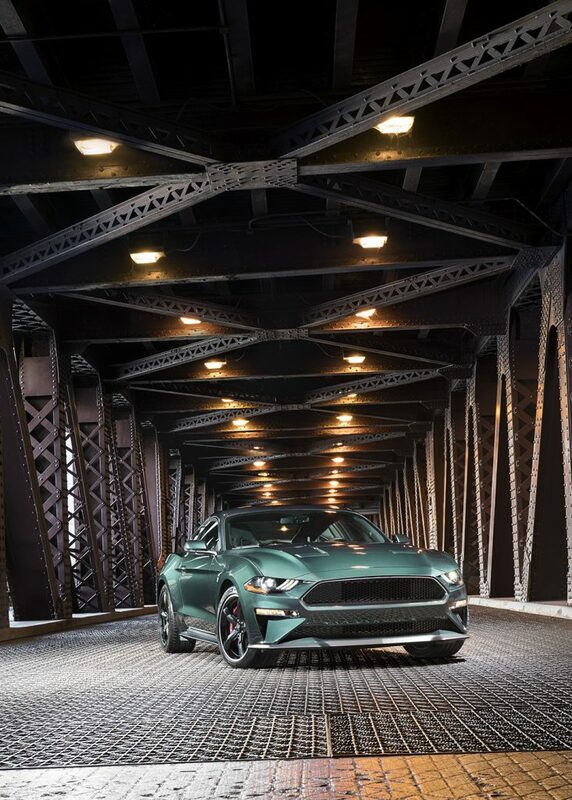 The new Bullitt Mustang adds to the regular 2018 GT’s already impressive list of performance features is a special freer-flowing active-valve performance exhaust tuned to give the car that signature Bullitt burble. It, in concert with a unique Open Air Induction System feeding the intake manifold out of the GT350 with its giant throttlebodies and special ECM tuning pump out a ballistic 475 horsepower—far more than Lieutenant Frank Bullitt could have dreamt of from his ’68 GT’s 390, even with its movie tweaks! But like that ’68, the new Bullitt Mustang has been debadged—when you’re this badass you don’t have to advertise! 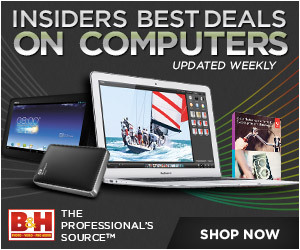 It comes in only two colors—a Dark Highland Green Metallic reminiscent of the original, or Shadow Black. 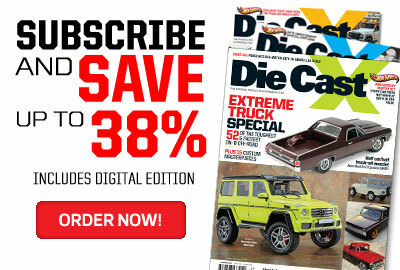 It comes only with a manual transmission (Bravo Ford!) with a big cue ball shift knob like McQueen’s ’68 4-speed had. 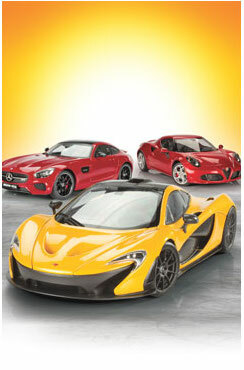 It wears special 19-inch wheels patterned after the Torq-Thrusts from the movie car too. 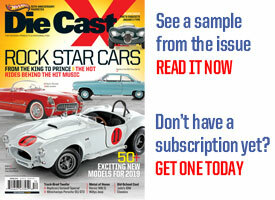 How the movie car resurfaced is a tale worthy of a Hollywood script itself. 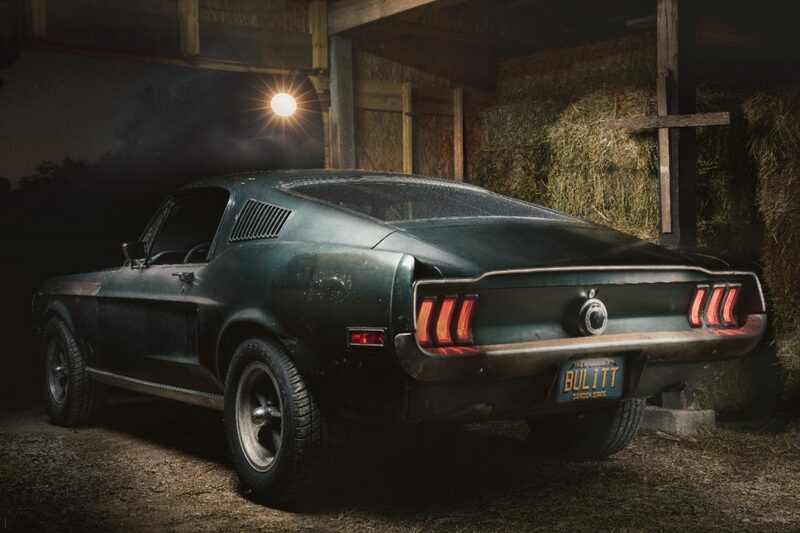 Ultimate Barn-Find — McQueen’s ORIGINAL Bullitt Mustang! 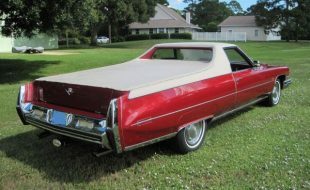 The studio worker flipped it in 1970, and that owner kept it for a few years before selling it to a man named Robert Kiernan in 1974. The Mustang remained in the Kiernan family (and was used off and on as a daily driver, if you can believe it!) 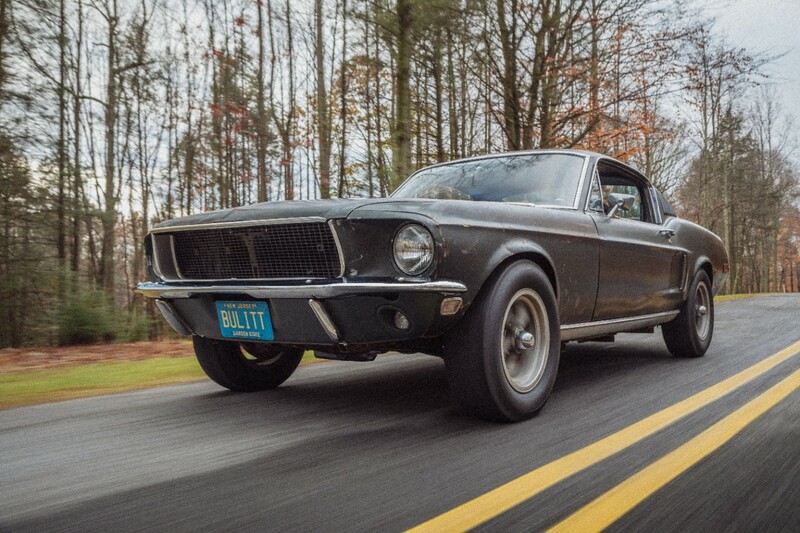 In 2001—the year Ford issued the first tribute Bullitt Edition—Kiernan and his son Sean (in the video above) began a restoration project on the car. That project stalled out and the car remained in pieces for 15 years, until Kiernan senior passed away and bequeathed the Mustang to Sean. 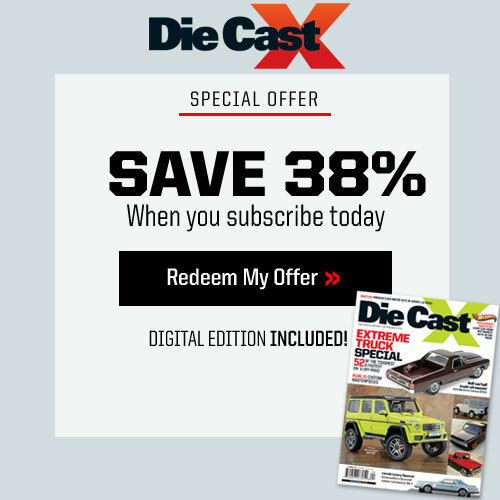 Rather than potentially erode its value by putting non-original parts on the car, Sean put the unrestored car back together, and made it available to Ford for promotional purposes in connection with the introduction of the 50th Anniversary Bullitt Edition. 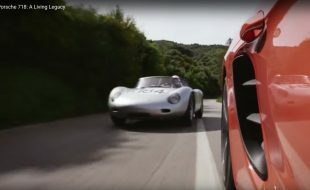 The two appeared together at the new car premiere at the North American International Auto Show in Detroit on January 14, 2018, where fans were even more taken with the ’68 than the new car! Many tales have been told of the mythical Mustang that tore through the streets of San Francisco, leaping intersections on Telegraph Hill on the way down to the Marina and The Presidio. The clean emblem-free look was reportedly McQueen’s idea—feeling a cool cat like Frank Bullitt shouldn’t play pitch man to a car company. Many a model has been made of the ’68 Fastback. 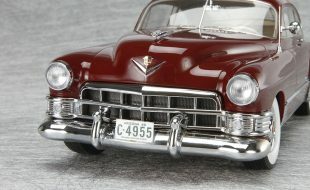 Danbury Mint made a nice one in 1:24, and AUTOart’s 1:18 model (part of its Steve McQueen Collection) is highly prized. These days GreenLight has the Bullitt license in multiple scales, from 1:64 on up to 1:18 with a figurine of Lt. Bullitt in his tweed jacket and turtleneck. 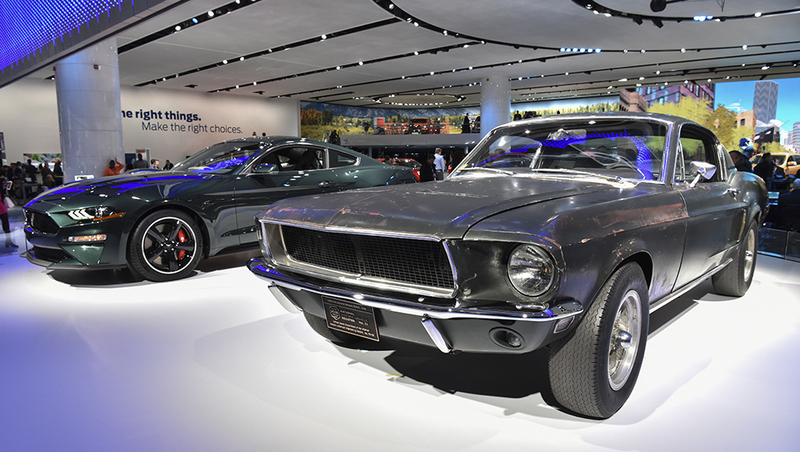 This first tribute edition was built on the late 4th-Generation chassis. It was basically a massaged GT and retained its SOHC 2-valve 4.6L V8 and solid-axle rear end. A cold-air induction system and free-flowing exhaust added 5 horsepower over the stock 260, while a lower, stiffer suspension gave it the proper stance over its 17-inch American Racing Torq Thrust wheels. AUTOart offered versions using their excellent 4th-Gen Mustang casting in Highland Green, Black, and Blue. 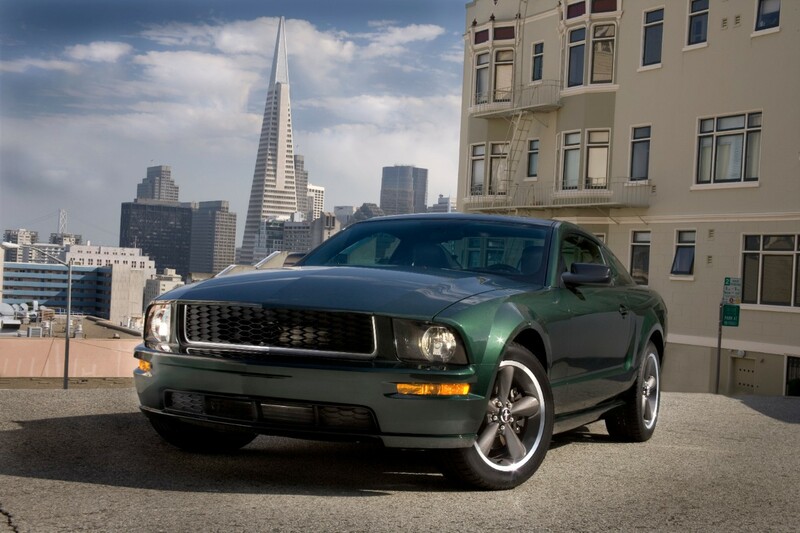 Upon its introduction in 2005, the retro-influenced 5th-Generation Mustang immediately inspired calls for another Bullitt edition, which Ford answered in 2008. The car again got revised suspension tuning, and upgrades to the intake and exhaust bumped the 3-valve SOHC 4.6L V8 from the stock 300hp to 315. All told, Ford built 5808 Bullitts for 2008: 4377 in traditional Dark Highland Green, and another 1431 in Black. 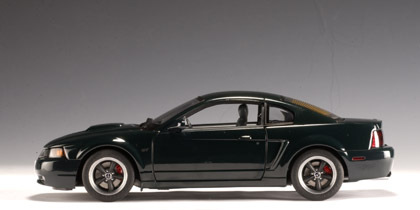 AUTOart was master of the model Mustang for this generation too, and released Bullitt Editions in 1:18 in both colors. 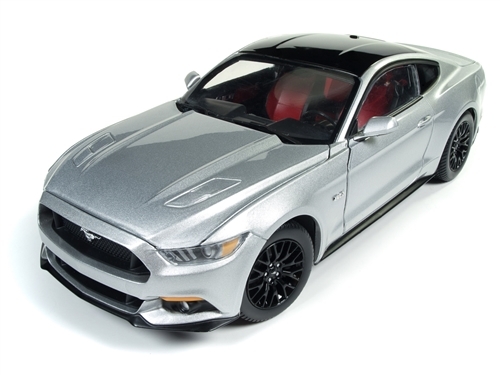 Auto World’s 2017 Mustang in 1:18 would be the perfect starting point for a new Bullitt in diecast! 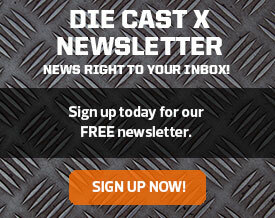 The announcement of the 2018 Bullitt only came this week, so obviously no diecasts have been announced , let alone manufactured. 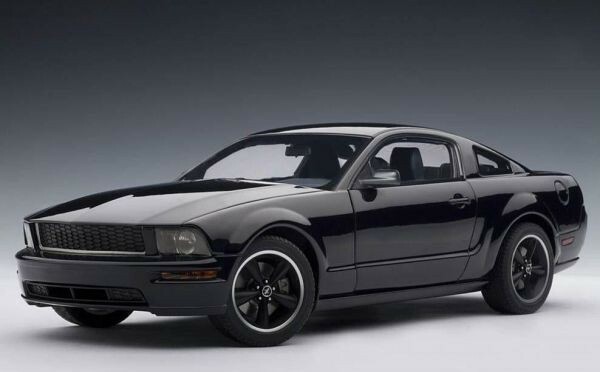 Auto World has a nice 6th-Generation Mustang casting though, which would make a fantastic foundation for a new Bullitt!